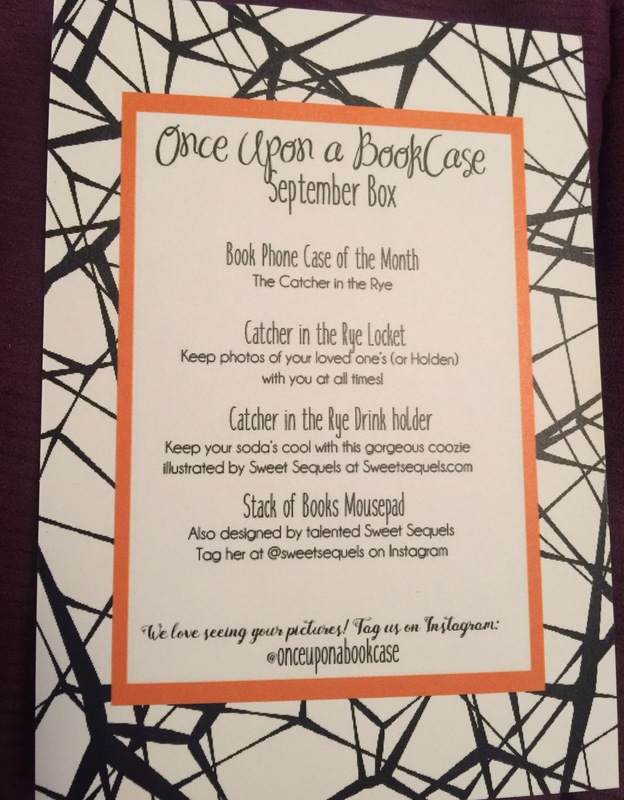 September 2016 Once Upon a Bookcase Review. The Cost: $26.00\month with discounts for extended subscriptions. 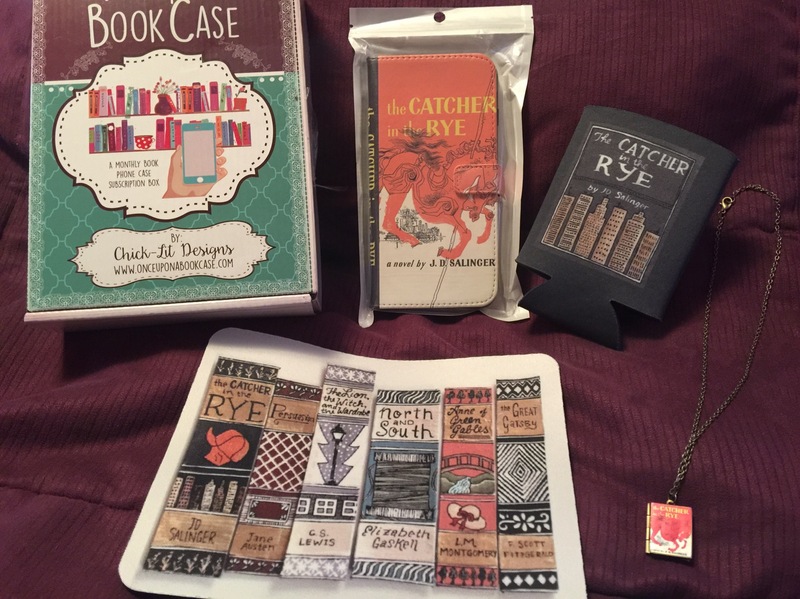 Includes a book themed cellphone case with slots to hold bank cards, plus you receive 2-4 gift items. Cancel anytime. Restrictions on refunds are timing based. Themes include Girly Girl, Manly Man, and Anything & Everything. The first month of my three month subscription I chose Girly Girl and for this month, I chose Anything & Everything. Cellphone cases for most cell phones. 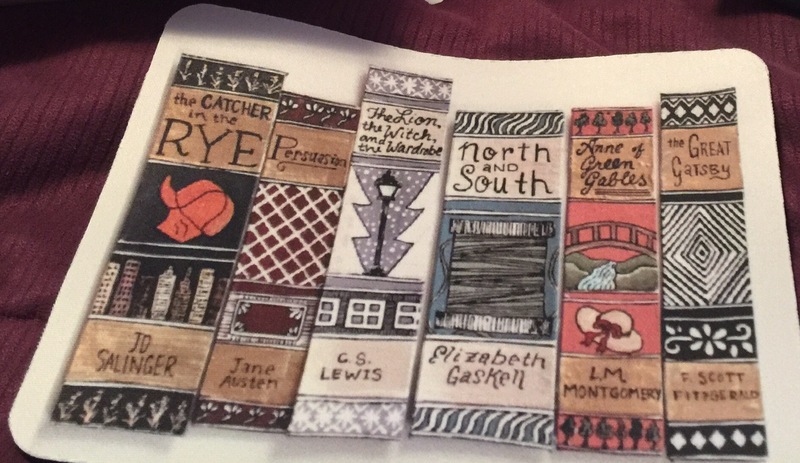 Visit Chicklitdesigns on Etsy for notebook and tablet cases. 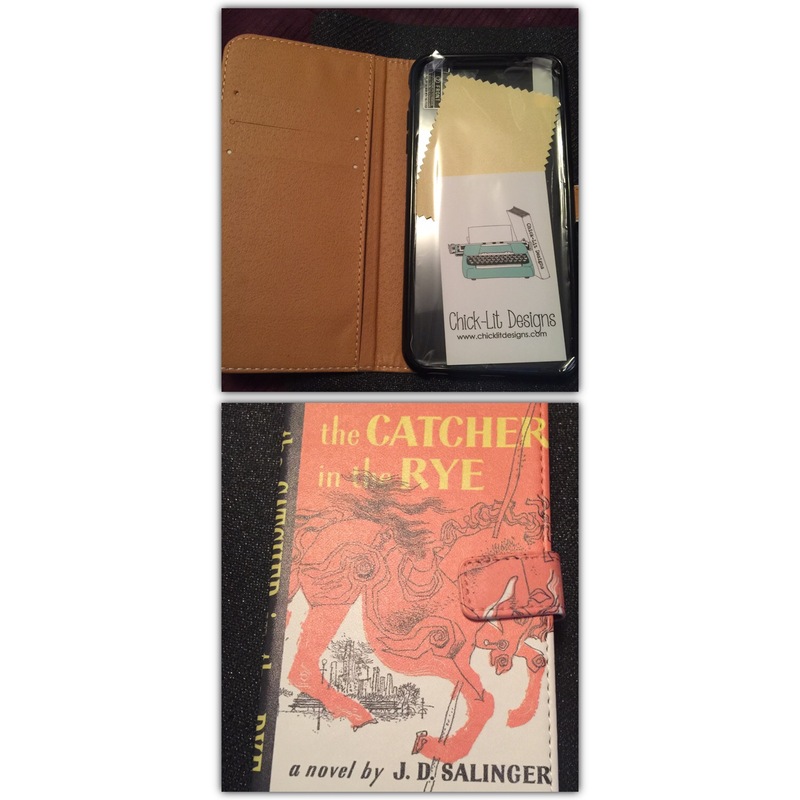 Cases are made to actually look like little books. Here’s the box that I received in the mail. And now for what’s inside. Can you guess this month’s theme from the card above? That’s right! 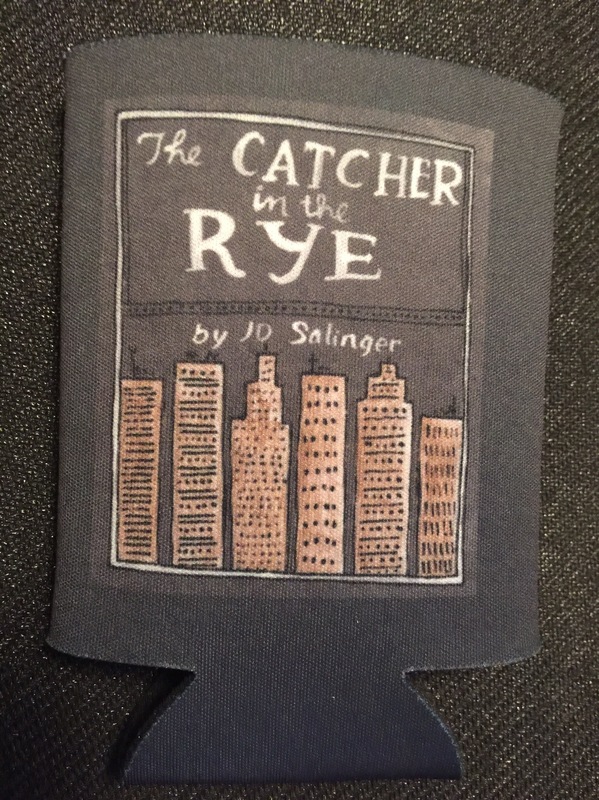 The Catcher in the Rye! Here are the items photographed individually. First the other side of the card above with the listed items and their descriptions. I love this phone case and each month they send an included a screen protector and a screen cloth. 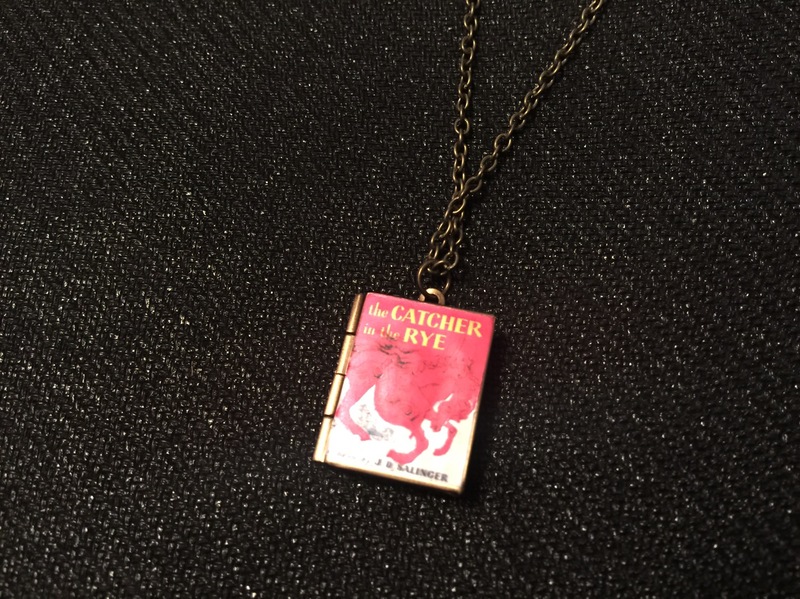 Next a necklace to go with this month’s theme. It’s a locket and so cute. I use my necklace as a decorative piece in my office. Third, a mouse pad. Who couldn’t use a mouse pad especially when it looks like this? Fortunately I do use a mouse, otherwise this would get hung on my wall. I may just do that anyway. 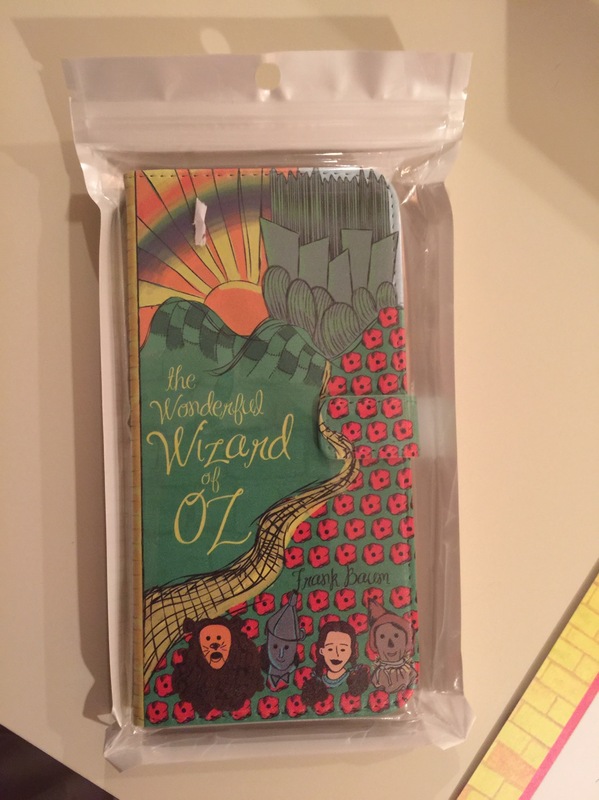 I’m very pleased with this month’s theme and the quality of the cell phone cases are exceptional. Last month’s case has been replaced with this one but it’s still in excellent condition. What do you think of this month’s theme? If your interested in a subscription of your own click here. This is an affiliate link and I pay for my subscription on my own. 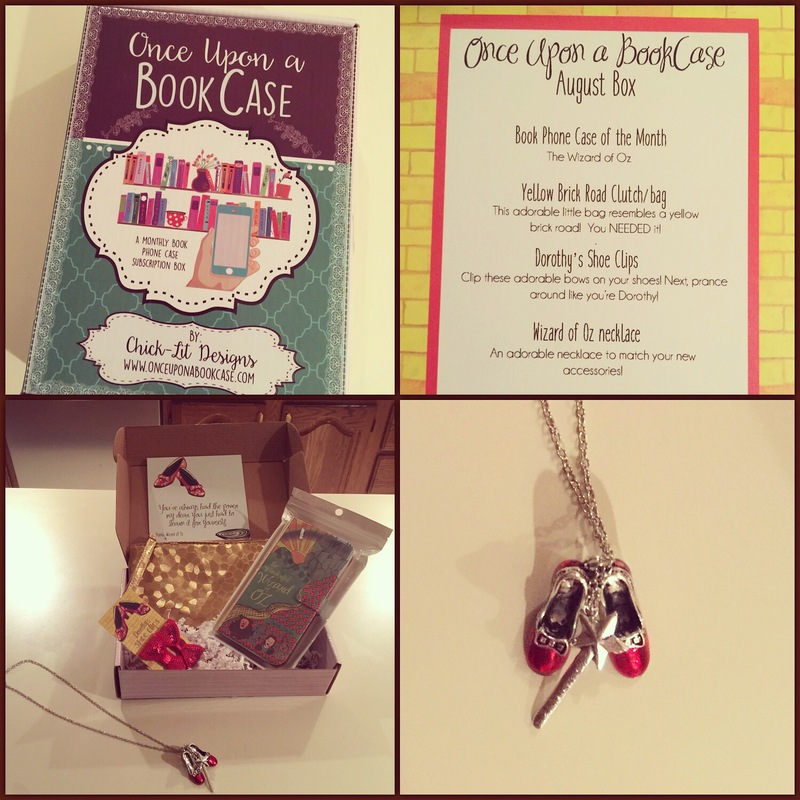 Also, Here’s my round up from August Bookcase of the month with The Wizard of the Oz theme. This was the Girly Girl selection. 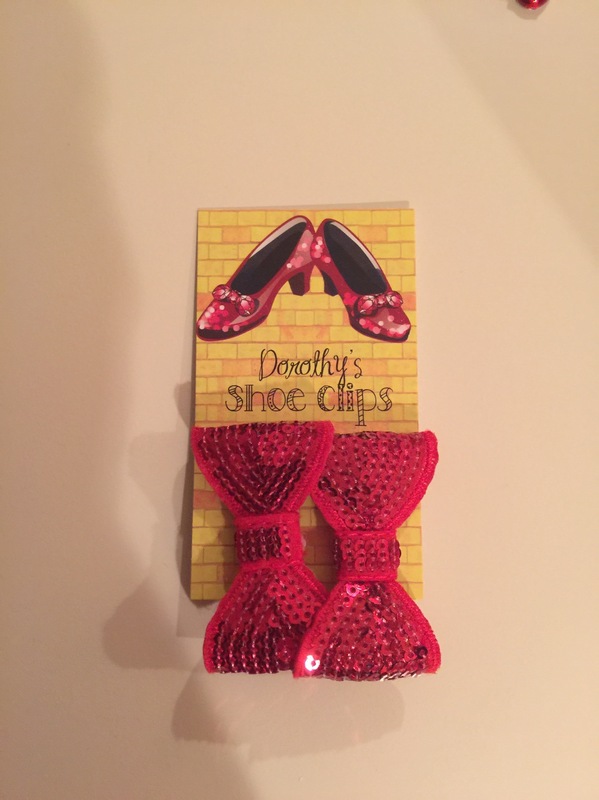 Below are adorable shoe clips. I’m using one of them as a decorative item inside my car. The cell phone case. I had this customized for a iPhone 6 Plus. 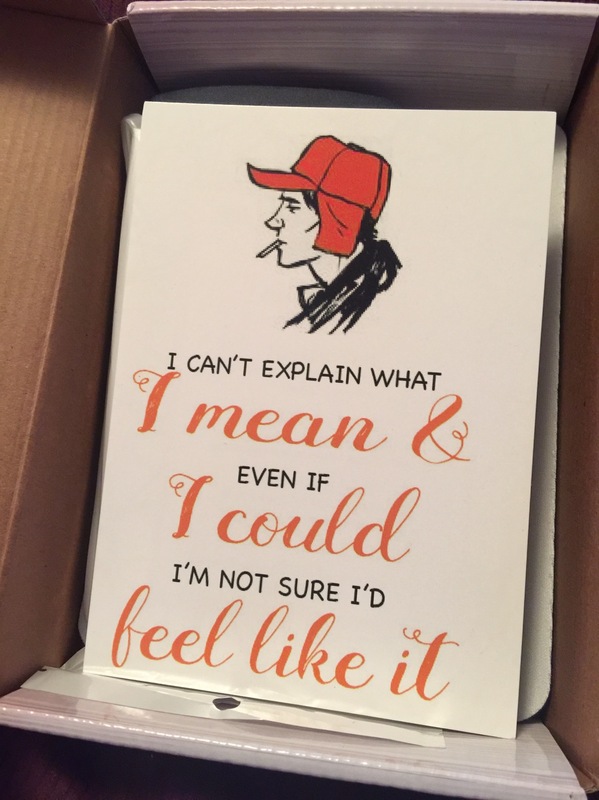 I’m excited already for my October Box and with the holidays just around the corner. 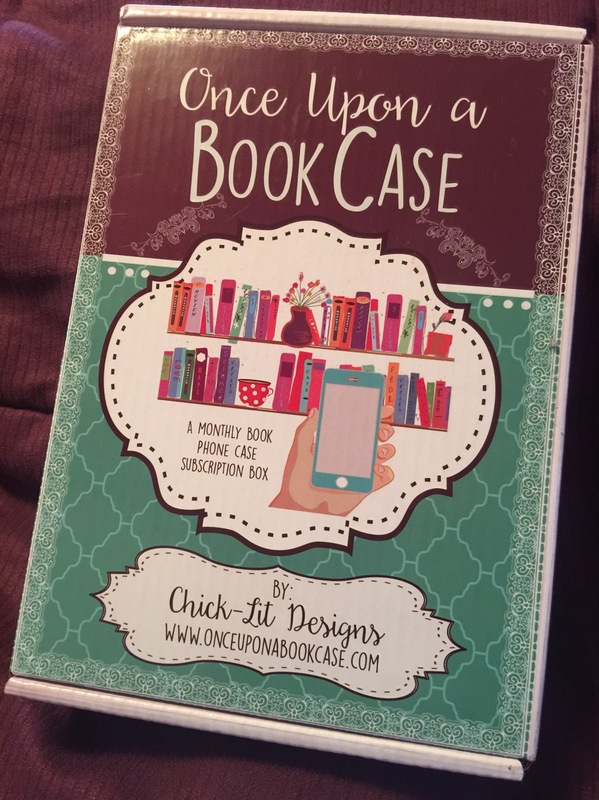 Once Upon a bookcase can make a great gift for any age or gender. 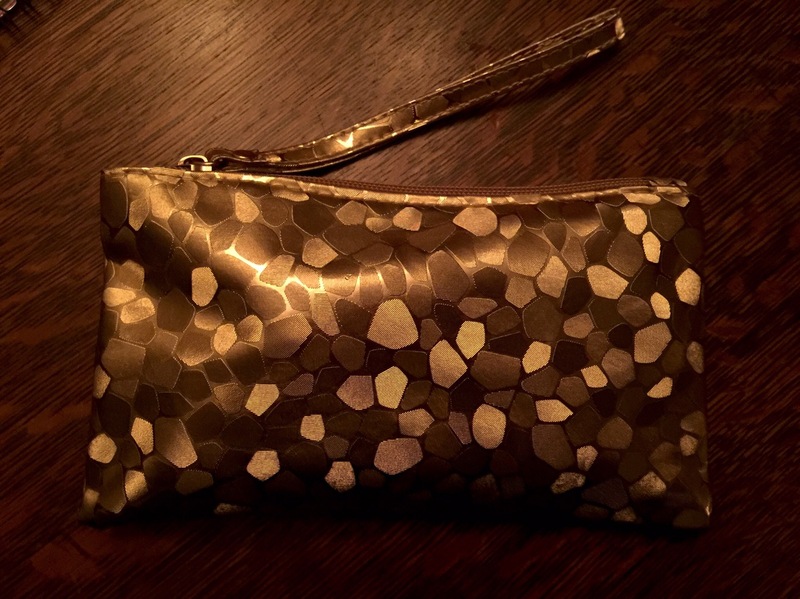 Previous Wantable Style Edit Review. Fall Transitions?